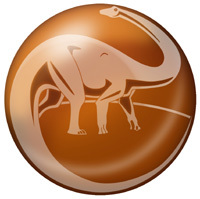 The National Dinosaur Museum focuses on the Earth's Prehistoric past and interpretation of the fossil record. The museum is home to the largest display of dinosaur material in Australia and a recipient of an Australian Tourism Award for Significant Region Attraction in 1997. 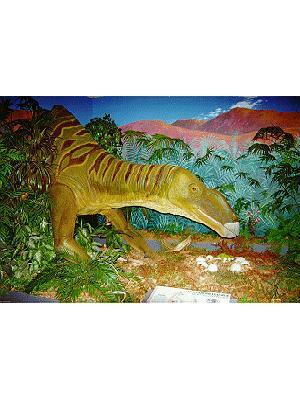 The display centres on life during the Mesozoic Era, 251 to 65 million years ago - when Dinosaurs ruled the Earth. As a supplement there are also exhibits depicting life both before and after that time; depicting the astonishing variety of prehistoric life on Earth. 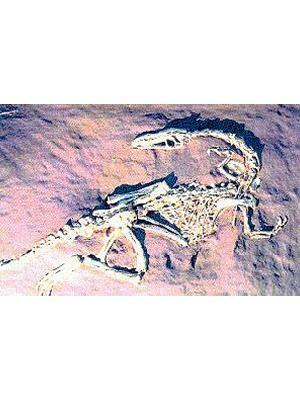 Major dinosaur groups, Australian dinosaurs, marine fauna, reptiles, birds and mammals (including humans) are represented. Education activities and school groups are particularly catered for. A visit can be enhanced by participating in a guided tour or taking part in the "Dinosaurs at Night" experience. Adults $9.50, Children $6.50, Family $30.00 (2x2 or 1x3) extra child $2.50, Senior $6.50, Concession $7.50, Special prices for groups. The collection includes the full size skeletons of 11 Dinosaurs: Plaetosaurus quenstedti, Coelophysis bauri, Stegosaurus stenops, Camarasaurus lentis, Camptosaurus medius, Megalosaurus bucklandi, Struthiomimus altus, Chasmosaurus belli, Maiasaura peeblesorum, Gryposaurus notabilis, Deinonychus antirrhopus. Other prehistoric animals include; Pteranodon ingens, Limnoscelis, Smilodon, Propaleotherium. Plus reconstructiions of; Rapator ornitholestoides, Minmi paravertebrae, Leaellynasaura amigraphica, Muttaburrasaurus langdoni, Coelacanth Latimeria, Steropodon galmani, Namilamadeta snideri, Pteranodon sternbergi, Ceradactylus, Tropeognathus robustus. These exhibits are complimented by many fossils, skulls and partial skeletons from around the world and linked together by easily digestible scripting. 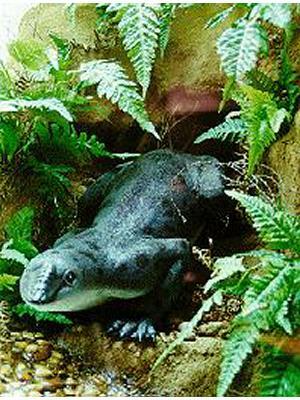 Prehistoric platypus with reconstructed habitat. 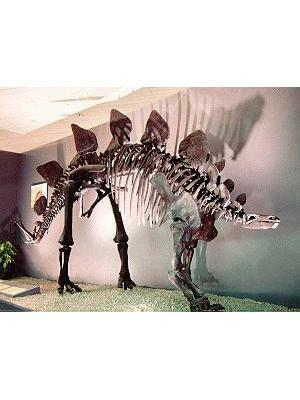 Cast of complete fossil Stegosaurus. Cast of complete adult Coelophysis. Reconstruction of Muttaburrasaurus in habitat. Life-size reconstruction of baby Camarasaurus set in rock face.